This book is the first comprehensive critical study of the work of Paul Feyerabend, one of the foremost twentieth-century philosophers of science. The book traces the evolution of Feyerabend's thought, beginning with his early attempt to graft insights from Wittgenstein's conception of meaning onto Popper's falsificationist philosophy. The key elements of Feyerabend's model of the acquisition of knowledge are identified and critically evaluated. Feyerabend's early work emerges as a continuation of Popper's philosophy of science, rather than as a contribution to the historical approach to science with which he is usually associated. In his more notorious later work, Feyerabend claimed that there was, and should be, no such thing as the scientific method. The roots of Feyerabend's 'epistemological anarchism' are exposed and the weaknesses of his cultural relativism are brought out. 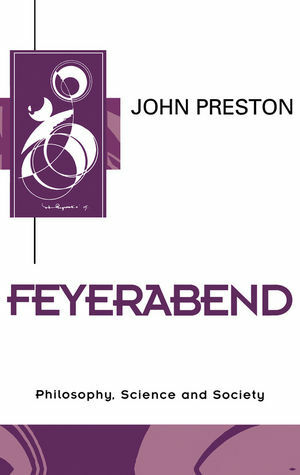 Throughout the book, Preston discusses the influence of Feyerabend's thought on contemporary philosophers and traces his stimulating but divided legacy. The book will be of interest to students of philosophy, methodology, and the social sciences. John Preston is Lecturer in Philosophy at the University of Reading. Introduction: Feyerabend's Life and Work. 1. Philosophy and the Aim of Science. 2. Meaning: The Attack on Positivism. 4. Scientific Realism and Instrumentalism. 10. Relativism, Rationalism and a Free Society. * The first comprehensive, critical study of one of the foremost twentieth-century philosophers of science - Paul Feyerabend. * The book will be an excellent introduction to Feyerabend's work for students in philosophy. * A full and very accessible account of the major themes in Feyerabend's thought dealing with the technological aspects of his account of science and his more general reflection on the relevance of scientific knowledge to broader social and political issues.